It’s every company’s goal to make the customer acquisition process quick and easy. Every sale is a victory. But what can one do to keep those customers on board and coming back for more? Statistics support the case for a marketing strategy that focuses on customer retention. Experts put the cost of acquiring a new customer between 3 and 30 times the cost of retaining an existing one. Without a customer retention strategy, businesses lack the catalyst that leads to growth. Their focus on customer service falls short and they are unable to cultivate repeat customers that become brand ambassadors. Conversely, just a five percent increase in customer retention can increase profits between 25 and 125 percent. So how can you maintain and eventually increase customer lifetime value? An effective customer retention strategy takes traditional marketing concepts and marries those with new technologies. Marketing used to be all about creativity. Technology has given marketers the tools to turn it into the perfect union of science and art. Here's how. Building customer loyalty is about more than just getting them to buy your product. Your customer needs to view you as their trusted advisor, an industry expert, someone who is interested in their overall success. Accomplish this by incorporating an effective content marketing plan in your customer retention strategy. Here are some ways to do this. Blogging offers you a platform to report on news, industry trends, success stories, and other information relevant to your clients. It’s a great place to offer free, educational information that can and will position you as an expert in your field. Write about these topics in a non-promotional tone, building your reputation as a trusted resource, not just a salesperson. Dedicate a portion of your website as a resource center for your customers. For example, if you sell skincare products, include answers to common questions there. "What causes adolescent acne versus adult acne?" "How do I choose an eye cream?" "What's the best treatment for facial scars?" Show your customers you want to provide solutions, not just sell products. E-mail marketing campaigns allow you to promote sales, drive traffic to your site, and establish a relationship with your subscribers all in one step. Collect data about your customers to target your messages. Imagine you are that skincare company again. What are your customers' biggest skincare concerns? How old are they? Cater your e-mail marketing campaign to target specific groups. For example, if your customer previously ordered acne treatment, send them a link to an article on that subject in your resource center. If your customer indicated he or she is concerned about the signs of aging, send a link to the article about choosing the best eye cream. 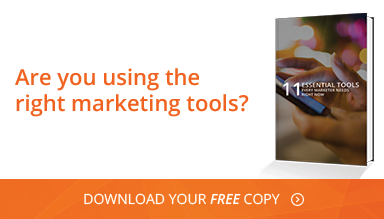 Tap the power of data by targeting your campaign. Use social media sites to connect with your customers 24/7. Find out what they are interested in, what they are talking about, and use social media to develop a relationship. Promote your resource center and blog via social media. Answer customer questions. Develop noteworthy infographics that your customers will want to pass on to their followers, further building your online reputation. How would you rate your own customer service? A study from Bain & Company found that 80 percent of companies think they have good customer service, but only 8 percent of their customers agreed. Oracle estimates 20 percent in revenue is lost each year due to poor customer experiences. Additionally, 68 percent of customers leave because they are unhappy with the service they received. All of this research shows the vital need to analyze your approach to customer service. Advances in technology have given businesses of all sizes the ability to provide a superior customer experience. Use these technologies to provide personalized customer service. Use data to provide individual messaging that is specific to the customer's needs. An excellent example of this is Amazon's "customers who bought this product, also bought this" feature. By presenting just a few additional options, based on consumer data, your customers will feel as if they have their own personal shopper. Use the same approach in the receipt e-mail your customer receives after the purchase has been made. Technology can also help you optimize self-service options. Provide superior service by giving customers what they want, when they want it. Online chat, your resource center, social media, and e-mail are just some of the ways you can let customers find the answers they need. One study revealed 47 percent of social media users actively use that platform to seek customer service. By quickly responding to complaints or questions via social media, you can provide superior customer service and build a long-lasting relationship. Use technology to be proactive and get in front of potential negative experiences. A great example of this is an airline that texts or e-mails customers to inform them of flight changes. Or a credit card company that alerts their customer when a bill is due. Even our Amazon example accomplishes this. Imagine a customer buying a part for a washing machine repair. Amazon customers are grateful for the "frequently bought together" feature that alerts them of complimentary parts that may be needed or tools required for the job. Loyalty programs are not new to the marketing arena. But technology has really helped companies unleash the power of these programs. Existing customers love to get coupons, reward points, and especially free offers. However, bombarding them with too many offers or sending promotions they don't find appealing will only push your customers away. A data-driven loyalty program will prevent this from happening. Use data to customize your program beyond just sending birthday or holiday offers. Here's how to put technology to work. Too many companies make using their customer rewards points or coupons like digging for treasure. Make it easy and you'll give your customers something to get excited about. When your customers log in, automatically display their rewards points, available coupons, or purchase credits. Customers need to associate their actions with their loyalty reward. As soon they make a purchase, tell them what they've earned, even if it's just points toward a reward. Include a message in their confirmation e-mail. The immediate gratification will strengthen the value of your brand and your online reputation. Analyze data to find out what is valuable to your customer. Do they want coupons, cash back, free shipping, or a complimentary gift? Identifying and offering what is individually valuable will make your customers feel individual recognition, building loyalty that leads to more purchases. Develop tiered rewards so that your most valuable customers receive the most perks. Be sure they know they are in the MVP position. Data will also give you an idea of what works and what doesn't. Monitor reward redemption to strategically plan ahead and alter the timing of promotions. Run test promotions to a specific subset of your customer base. Track what offers were most effective. Loyalty is all about establishing a relationship built on trust. Data and analytics offer invaluable insights into providing a customized, superior experience. The 2014 eCommerce Retention Marketing Survey revealed 70 percent of marketers say their customer retention strategy is only average, poor, or need improvement. Don't miss the tremendous opportunity to improve your retention rate through available technologies and a customer-centric approach.